A world first the BlokUp opening glass door uses a true 50mm hollow Glass Brick. 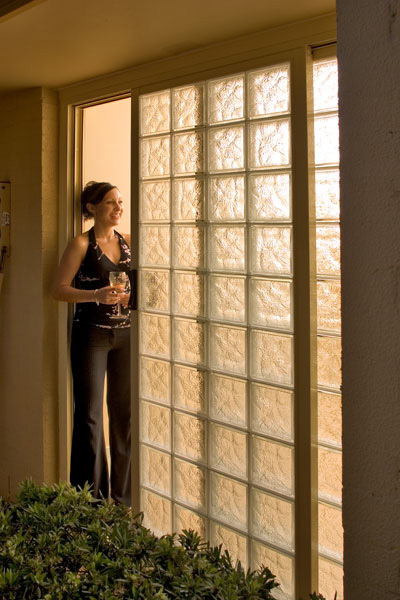 Combining Privacy with brilliant natural light, superior thermal quanities and security, the range of Glass Block Doors enables you to add a stunning and elegant feature to almost any situation. Sensational for office partitioning, shop fronts, high density housing, high rise develpment and front entry doors, the sliding Glass Block door creates a stunning effect with the unique ability to build to a height of 2684mm. YES, WE CAN DO YOUR CUSTOM DESIGNS! All made in-house by us! You buy direct from the manufacturer!